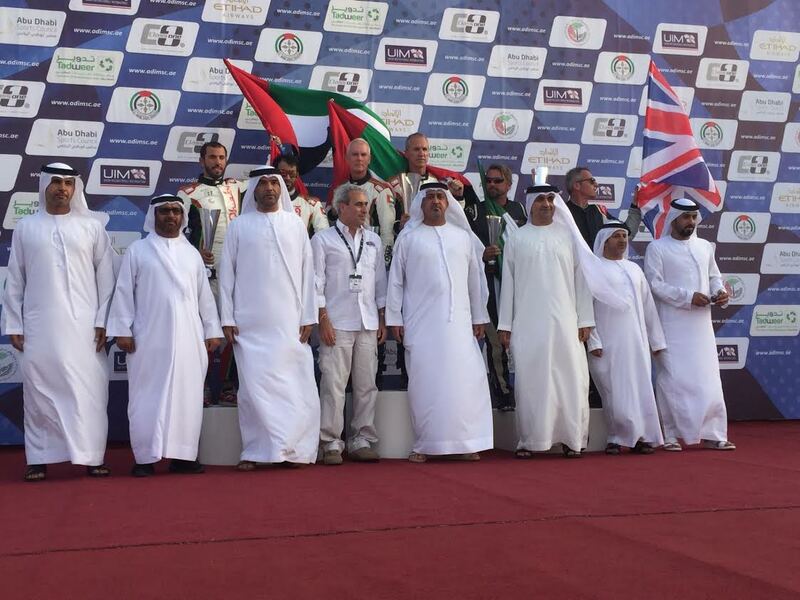 TNT Custom Marine is thrilled to announce our own John Tomlinson and Team Abu Dhabi competed in the 2016 Union Internationale Motonautique Class 1 World Powerboat Championship earlier this month, and finished second on the podium! 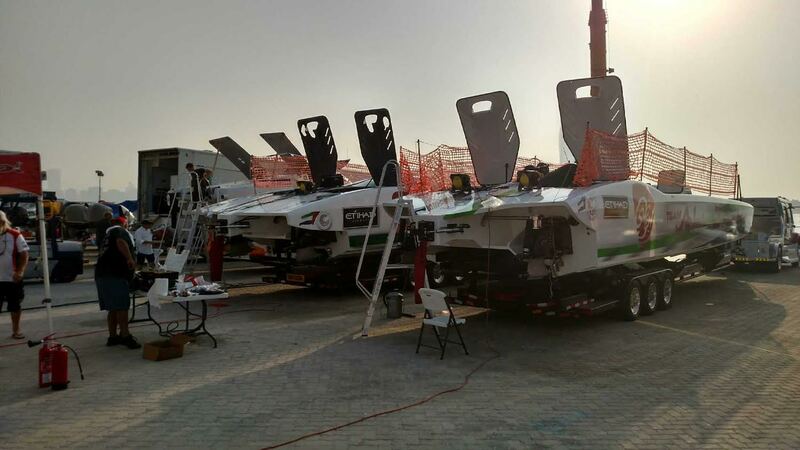 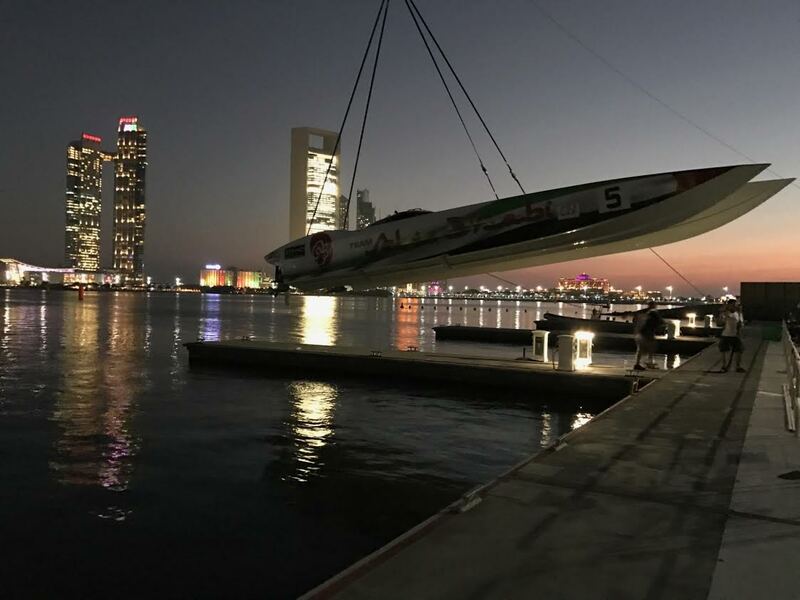 Please join us in congratulating the team for their amazing performance in Abu Dhabi, and check out the article from Speed on the Water, below, for a recap of the races! 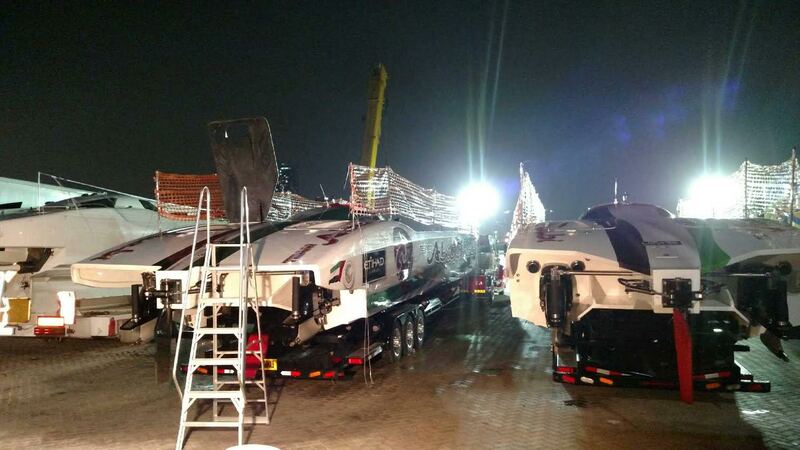 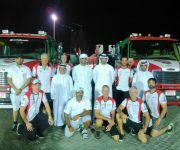 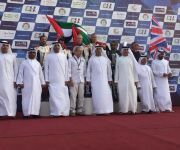 Although the team’s primary rival—Victory Team—brought the world championship trophy back home to Dubai after losing it in 2015, Team Abu Dhabi won the third and final race of the Union Internationale Motonautique Class 1 World Powerboat Championship in dramatic fashion at the Abu Dhabi Breakwater on Friday afternoon. 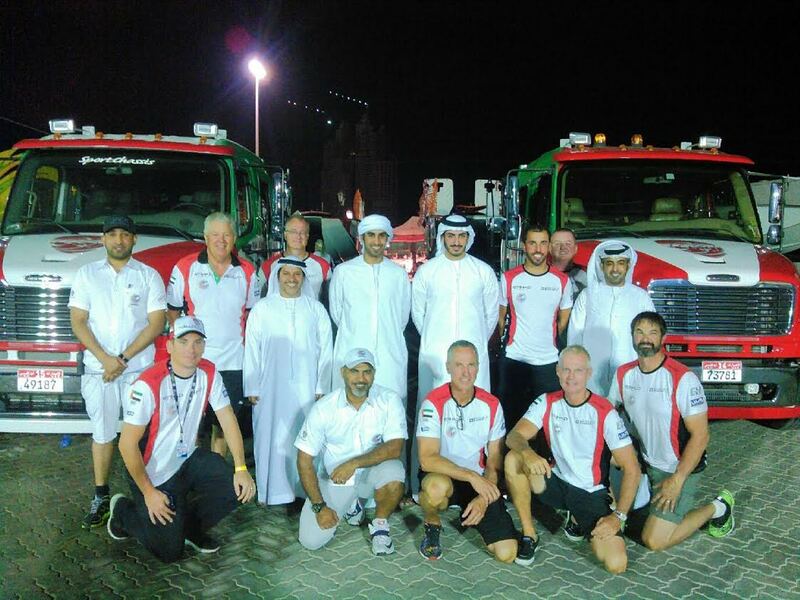 Trailing the multi-time world champions, Arif Saf Al-Zafeen and Nadir Bin Hendi, by 10 points heading into the third-race showdown, Team Abu Dhabi 6’s American teammates John Tomlinson and Gary Ballough led through the opening lap and began to pull away from Victory 3 using a quick three short-lap strategy to perfection to enhance the gap. 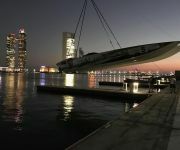 When the Victory 3 boat slowed to a crawl with a broken propeller and was unable to finish higher than fourth, the host team appeared to claim its second straight world title by a single championship point. 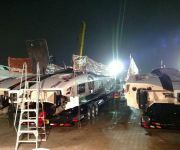 This article was originally posted on Speedonthewater.com. 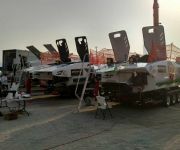 With over 150 personal wins and numerous World Championships to his name, Tomlinson is the reigning SBI National and World Champion.